I would like to extend a very warm welcome to Newark Academy College. I am both honoured and incredibly privileged to be able to introduce you to our vibrant and exciting college where academic excellence is complimented by a caring and student-centred ethos where working hard and being kind permeates everything we do. We are committed to providing our community with a ‘great’ local post-16 offer and are wholly committed to our vision of ensuring that every student develops both socially and academically and secures the progression pathways that meet their needs and aspirations enabling them to lead ‘choice filled lives’ and make positive and lasting contributions to the world at large. Newark Academy College provides a happy, safe and caring environment where every student is known and supported through world class teaching and learning and extensive personal and pastoral care. Our students also have exposure to wider leadership and enrichment opportunities through activities that compliment academic studies which support students across the academy and indeed, the wider community. We understand just how important it is to support our students when making informed choices about their next steps. We are highly aspirant for our students and aim to provide high quality careers advice and guidance so that students and families are fully informed about the progression pathways on offer whether they be university, higher level apprenticeship or employment. We believe that every students is unique and provide bespoke programme of support and provision that offers our students the very best experiences in an environment where ambition is nurtured and developed and the highest quality teaching and learning enables all students to succeed, achieve and realise their full potential. I encourage you to visit our college to see why Newark Academy is such a great place to learn, develop and achieve and I look forward to welcoming you to Newark Academy College. Student achievement is at the heart of everything that we do. Through our excellent provision and world class teaching, students are provided with every opportunity to secure academic excellence, preparing them fully for the next stage in their learning. Progress is reviewed regularly to ensure that students are on course to meet challenging and aspirational targets and individualised support compliments academic study to ensure that every student continues to be the best they can be in all that they do. Independent learning is a key feature of our provision here at Newark Academy College and students are expected to work hard and be kind both inside and outside the classroom. Our vision is to ensure that our students are well rounded, lifelong learners who are thoroughly prepared for the next phase in their learning journey and leave us fully enabled to lead choice filled lives. We are highly aspirant for our students and the community we serve and ensure strong achievement, personal development, employability skills and character education all play a critical role in enable our students to lead ‘choice filled lives’ through college and beyond. Our curriculum goes beyond A-Level, Level 3 Extended Certificates and Work-Based Extended Diploma courses on offer. Alongside these, students will follow an enrichment curriculum giving them the essential skills required for university applications and the workplace. They will be able to broaden their studies through the Extended Project Qualifications (EPQ), opportunities to travel to new continents with World Challenge and participate in a variety of voluntary and work experience activities in our school and local community or with organisations like the National Citizens Service. Students are expected to contribute to the academy community and play an active role in supporting their peers in a variety of ways. This can be through working with students in subject curriculum classes, developing students’ literacy and numeracy skills in one to one tutoring sessions, lunch time clubs or enrichment programmes. Our students are provided with additional opportunities to contribute to academy life by working with the wider community through various volunteering opportunities. Our college student leadership team also provides students with wider leadership experiences across the academy which supports lower and upper school activity and supports the Senior Leadership Team of the academy in their operational activity. 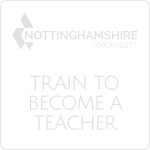 Newark Academy College teachers are highly skilled, experienced professionals who have a deep and varied knowledge of the subjects that they teach. Through quality first teaching, students are provided with the educational experiences that ignite imagination, inspire curiosity and challenge thinking. Subject specialists use action research to ensure everyday practice remains at the cutting edge of teaching and learning and ensue that students are supported to achieve only the very best outcomes as they prepare to transition to the next phase of education or employment. All students have timetabled lessons in each of their subjects along with independent study periods and access to additional learning resources across the academy and indeed the wider Nova trust. We our justifiably proud of the high levels of pastoral care that we provide our college students and is a key feature of our college offer. Each student has a personal tutor who monitors progress and acts as a professional learning mentor and coach to each and every student. In addition, students have weekly PSHCE session covering a plethora of topics including personal finance and preparations for life outside of education. Our students will be encouraged to follow their own individual pathway and progress onto higher education, higher level apprenticeship or chosen employment. All students will be provided with information and guidance enabling them to make a well-informed choice as to their chosen pathway. We already have strong links with a number of universities giving students a flavour of university life. Expert advice from our experienced staff will be provided to support all students individually with their university, apprenticeship application and students who want to go directly into employment will have support with their job applications. The combination of our high expectations for academic learning and the development of wider employability skills is critical for supporting applications at this level. Click a subject below for full course details. If a grade 4 GCSE in English or Maths has not be achieved, students will be required to resit. You must have achieved at least a grade 5 in the subject that you wish to study at A-Level. We know that choosing the right place to further your studies is a big decision and we would encourage you to come and visit us before making a final decision. The application process for September 2019 entry is open: please fill out the form below to apply. Please complete all the fields on the application form and ensure you enter a valid e-mail address so that we can contact you. Please read through this form carefully before you start to complete it. You will be required to complete your personal details, information about your qualifications and your provisional course choices. This form is used to collect information regarding your application to Newark Academy College and will only be used for this purpose. We need the information collected here to enable us to manage this process effectively. The information is for internal use only and will be stored on our internal servers. This information will be kept in line with our data retention policy. We will use your contact details to share information with you that is relevant to this process. If you have any concerns please contact us before you proceed. Our full privacy notice is available to download here. Please tick here to confirm you have read and understand this notice. Your e-mail address will be used to send you confirmation of your form submission, as well as to contact you to invite you for interview. Do you currently attend Newark Academy? Which school do you currently attend? Newark Academy College values all students, acknowledges differences and will support all learners. As such, in order for us to know if and where any necessary additional support is needed, please answer the questions below. Additional information regarding your responses will be discussed further and confidentially at interview. Do you have any specific health/medical conditions that we need to know about? If Yes, do you need support or is your condition self-managed? 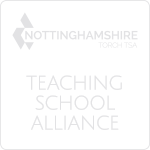 Have you been identified/supported by your school for a particular need? 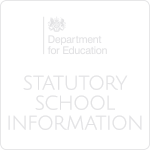 If a student does not meet the College entry requirements detailed above, we will unfortunately not be able to offer them a place on their chosen courses in September 2019. All students beginning their study at Newark Academy College will need to select the equivalent of three Level 3 courses, which they will study for the duration of their two years with us. Before selecting your choices below, please ensure you have reviewed the course-specific entry requirements outlined in our Course Guide. If you select a Level 3 Extended Course, please select this for all three options below. Please be aware that in the unlikely event that a course does not receive sufficient interest at the interview stage, there is a chance it may not run; in this instance, alternative courses will be offered. Any further information about you, including hobbies, interests, voluntary work, awards or anything else you would like to share with us. How did you find out about Newark Academy College? Please indicate if we are your first choice and, if No, please could you let us know which is your first choice? Your answer to this question will not jeopardise your application with us. I am, to the best of my knowledge, on track to achieve the College entry requirements – a '4' or above in GCSE English Language and a '4' or above in GCSE Mathematics. I am, to the best of my knowledge, on track to achieve a '5' or above in any relevant GCSE course as per the course specific entry requirements detailed in the prospectus. I understand that submitting this application form is not a guarantee of a place, and that I will be contacted for interview, which will take place in the Spring Term 2018. Thank you for taking the time to complete this application, which we look forward to reading! You will now receive an email confirming that your application has been submitted. Once we have reviewed the information, you will be contacted via email to arrange an interview time.